the uppermost portion of the brainstem. 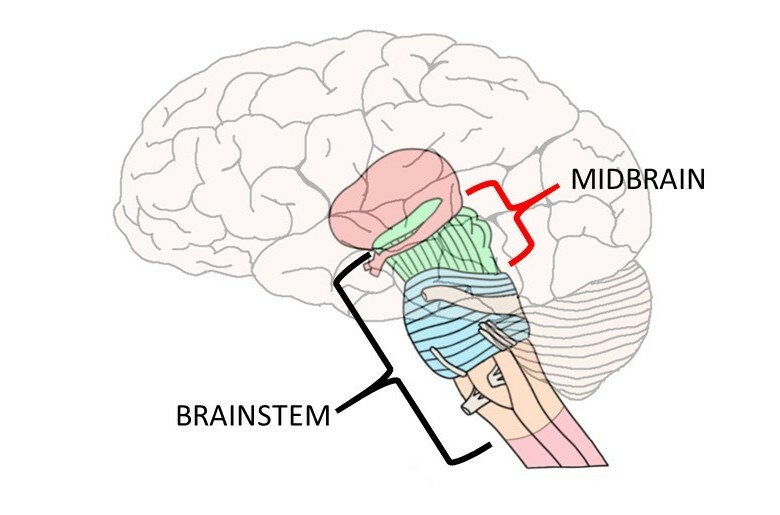 The midbrain is associated with a multitude of functions, including vision, hearing, and movement. It contains the substantia nigra.